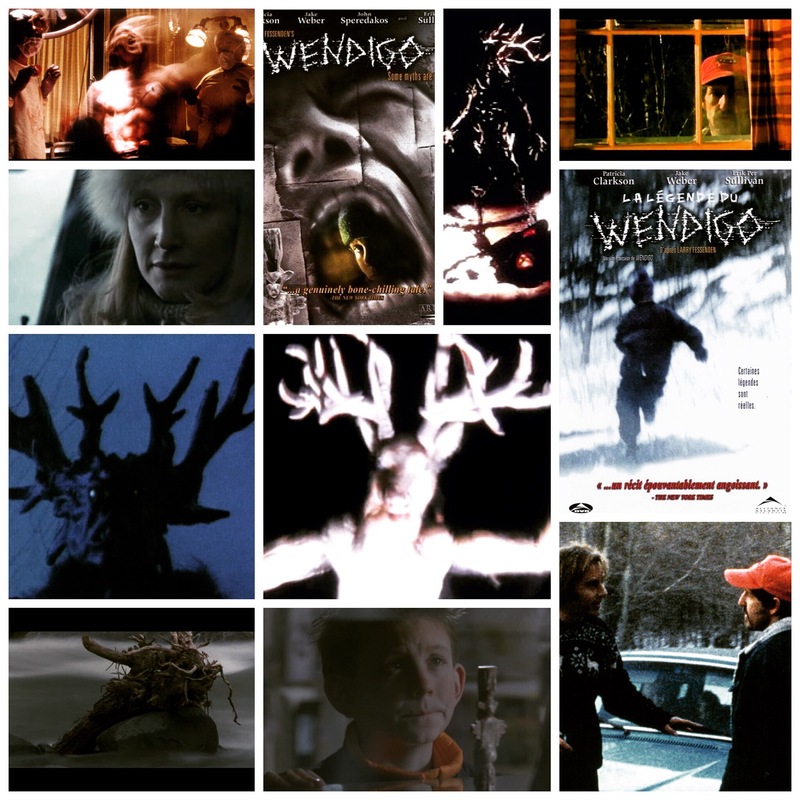 Larry Fessenden’s Wendigo is a film that has stuck with me since I saw it years ago, a glowing textbook example on how to create chilly, effective and engrossing horror on a minimal budget, to maximum creepy effect. Set in the snowy drifts of Upstate New York in the dead of winter, a stressed out family heads up to a remote cottage for a rest. Following an accident, a dead deer and the subsequent altercations with angry locals, things take a turn for the supernatural as some dark force takes up residence on the cottage grounds, shaking the family to their collective core. There’s an old legend out there about a spirit called Wendigo, a vengeful ghost that latches onto traumatic events, haunting those involved often right to their graves. These poor people awakened it, and it won’t go away. Jake Weber, Patricia Clarkson and Dewey from Malcolm In The Middle are great as these folks, compelling in their sense of confusion and dread. The creature is rarely seen, save for a single stark image that I haven’t forgotten since: after the car accident, the child looks a ways up the road and sees it standing there, a freaky spectre, all shadows, antlers and such. Spooky stuff.